Today, Google started rolling out a new version of the Google Play Store which is build 7.8.16. However, doesn’t have any new features apart from the little UI changes and a new icon. Both the main app icon and notification icons have been changed with this update, and while the former has now been streamlined, the latter was seemingly modified in an effort to look more consistent relative to other visual elements of the software. 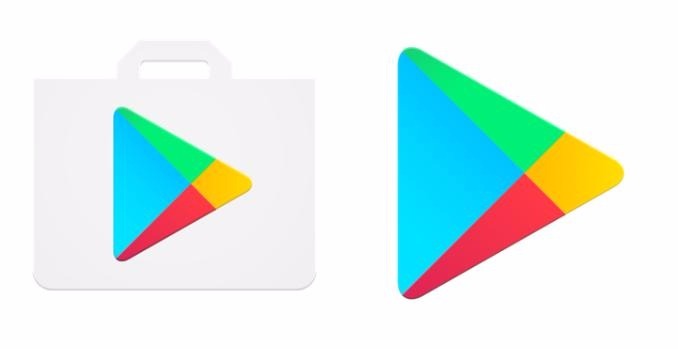 Following the latest update, the app icon of the Google Play Store will only feature the colorful triangle with rounded edges that’s been serving as the official logo of the Alphabet-owned company’s mobile marketplace for many years now. The white shopping bag has been dropped from the logo and is no more, and there are currently no indications that the old design will be returning at any point in the future. Following this update, the Google Play Store app does a better job at blending with the background regardless of your wallpaper of choice, though that may not necessarily be a positive change for all users. The second noticeable alteration introduced by the Google Play Store update version 7.8.16 is that of the app’s notification icon. Just like the new app icon lacks Google’s old shopping bag, the revised notification image also shows no more signs of the thereof. Instead of the shopping icon, the white checkmark is now located on a green triangle that has the same shape as the Google Play Store’s main logo.